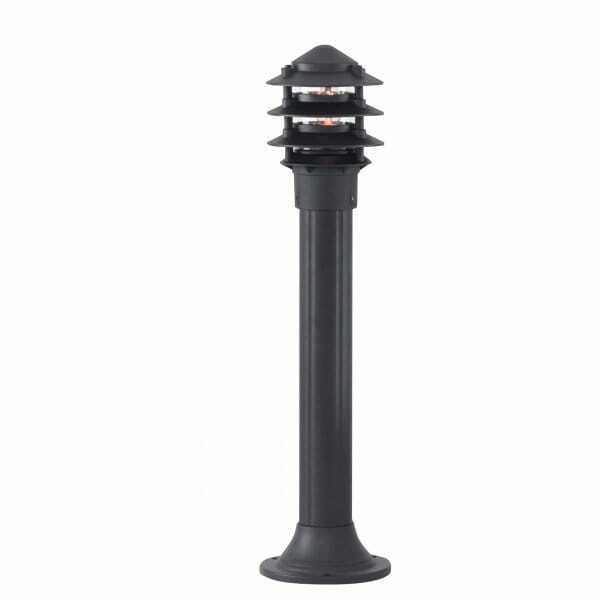 Buy Garden Post Light Outdoor Bollard Lighting. Outside garden bollard in black finish cast aluminium. The finish on this outdoor light is guaranteed for 3 years and it is fully weather-proof. The garden post light sits on a circular base and the light is emitted through the louvered section at the top. A useful garden light for illuminating a pathway or drive.